I think all of us can agree that when a solicitor comes to our door, you feel put off and pressured to interact with people you don't want too. 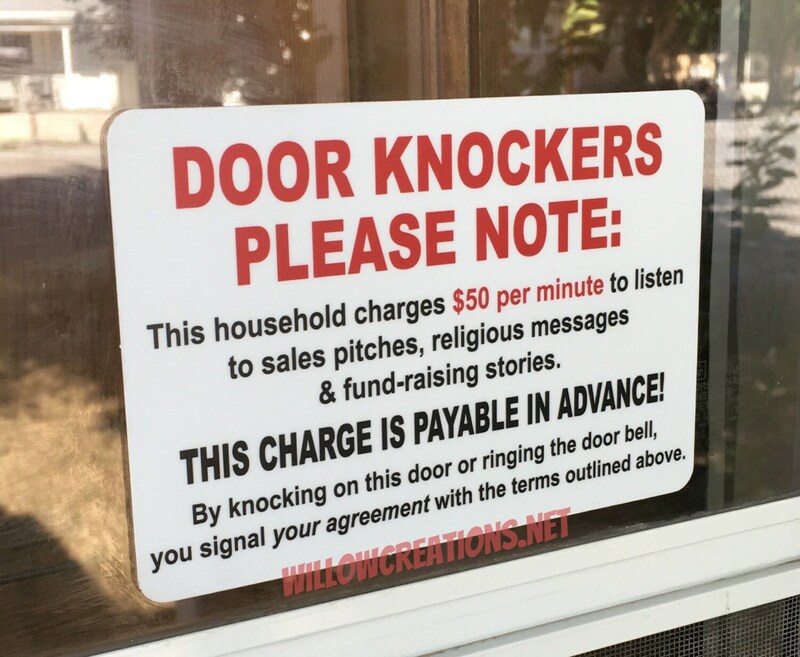 This decal is the perfect solution to turning away unwanted guests. 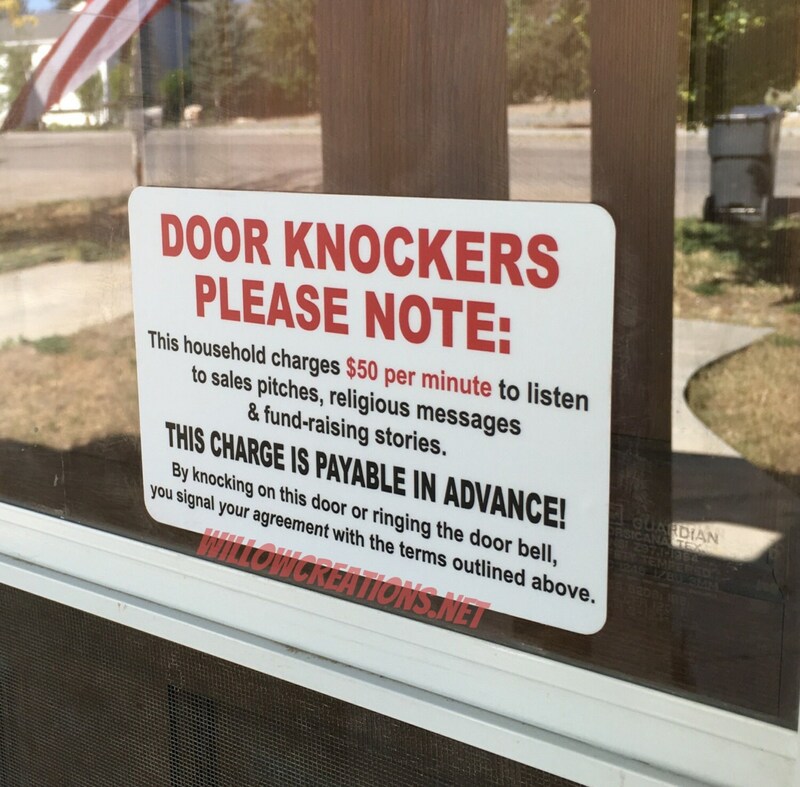 Not only does it tell your solicitors to back off, it will give any visitor to your door a good laugh. 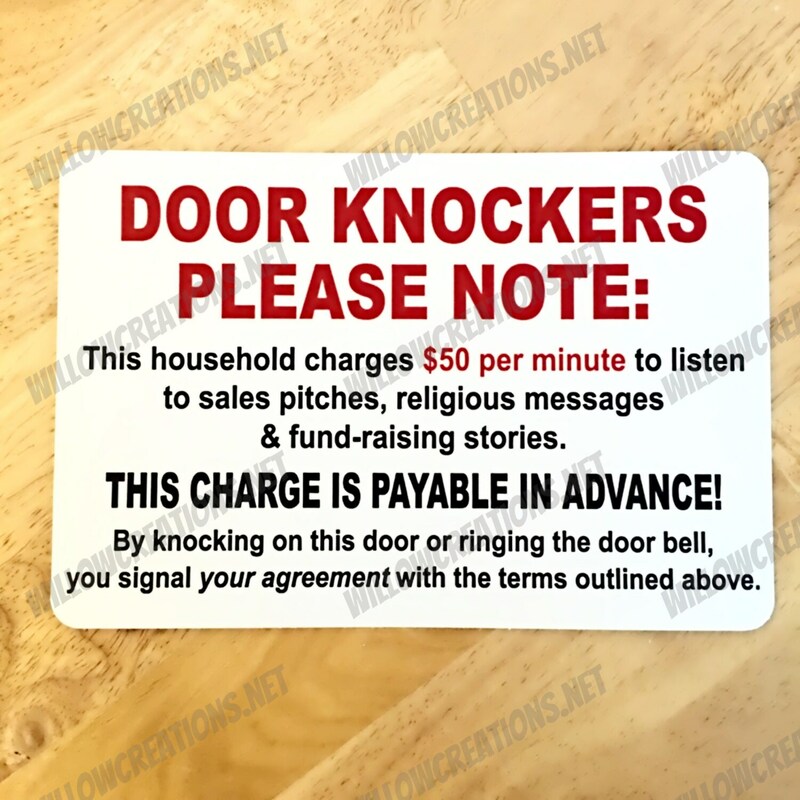 This no soliciting decal is made of high quality, durable adhesive vinyl. It's also waterproof and has a UV laminate coating that will help make it last for years. Processing Time: Due to high demand, current processing time is 3-5 business days before your order will ship.